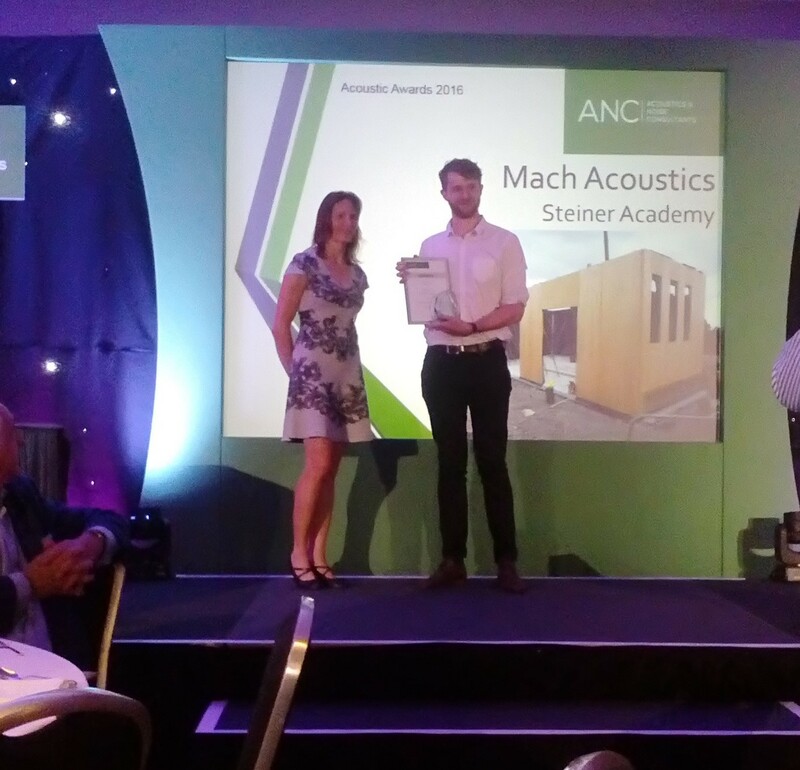 Last nights' ANC Awards ceremony saw MACH Acoustics win first prize in the Best Sound Insulation category for the Steiner School. Josh Childs worked on the project and is pictured receiving his well deserved award. Working with architects Feilden Clegg Bradley Studios and Kier as contractor this project was a great team effort. The Steiner School is part refurbishement part new build development which is built using CLT. As CLT is a relatively new construction material, the acoustic information available is limited. To ensure that the proposed performance targets were achieved Josh carried out reviews of laboratory and on site data of various CLT buildings, which was used to calibrate the sound insulation models for each space.